Nine Kashmiri women were felicitated on Saturday, in a function held at Entrepreneurship Development Cell (EDC), University of Kashmir (KU), for having successfully presented their artifacts at Lakme Fashion Week-2019 in Mumbai. The Kashmiri women trained at ‘Usha Garment Design and Production Centre (UGPC)’, Zakura Campus, University of Kashmir, had designed and developed the artifacts and clothes under the supervision of ace designer Mr. Rohit Bal. USHA International Pvt. 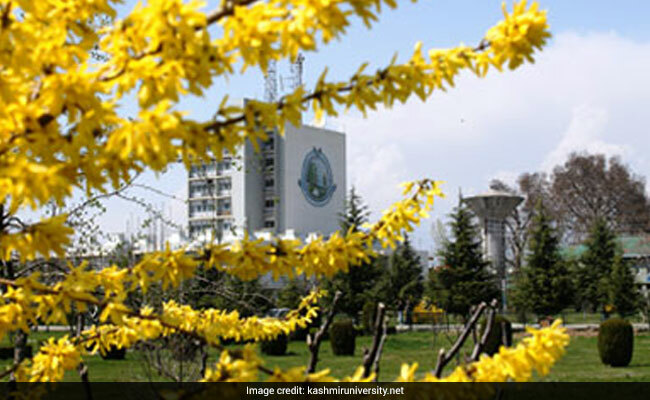 Ltd. has recently set up the ‘Usha Garment Design and Production Centre (UGPC)’ at Zakura campus of the University with an objective to tap into the massive talent pool among the women in Kashmir. The UGPC established in collaboration with Entrepreneurship Development Cell (EDC) and Department of Social Work, KU, trained 17 Kashmiri women in the art of stitching/sewing to produce artifacts and garments to be launched at Lakme Fashion Week 2019, at Mumbai. Mr Bal supervised the production of artifacts by Kashmiri women trainees at UGPC, University of Kashmir. Subsequently, the artifacts of nine of the women were shortlisted to be displayed at Lakme Fashion Week-2019 in Mumbai where all the nineopulent artifacts passed the critical eye test and made it to the customers’ wardrobes, said a statement from the varsity. The artifacts were priced roughly between Rs.12000 to Rs.32000 and as such made humble earnings for the women. While felicitating the skilled women, Registrar University of Kashmir Dr. Nissar Ahmad Mir, said that the art of sewing and stitching paves way for a dignified earning for women.